Friday Humor: Trump Defects To Russia? Helsinki was always famed for its Cold War intrigues and secret exchanges between the Americans and Soviets. But no-one imagined this delivery. The 45th president of the United States handed himself over to the care of Mother Russia, renouncing American citizenship and seeking asylum. 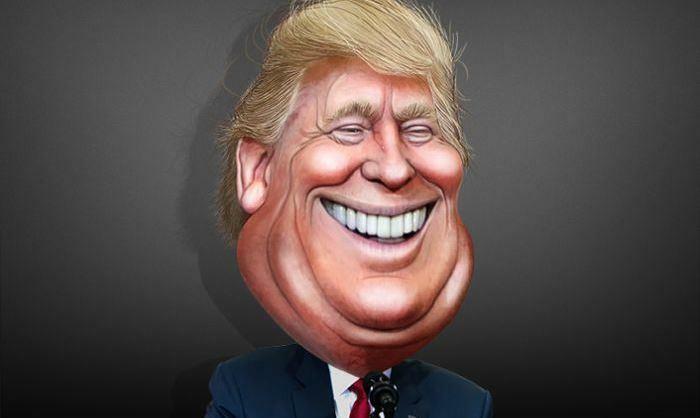 While Trump has reportedly gone into hiding somewhere in Russia, the US and its European allies are in uproar over the “sellout of the century” – to borrow the property tycoon’s phraseology. His detractors in Washington’s political and media establishment are in paroxysms of condemnation and, strangely, relieved self-righteousness. “We always knew it. That Trump was a Kremlin stooge, a Putin puppet. Now, finally, we have proof,” fumed one pundit. Trump’s last words explaining his actions were more prosaic. It all transpired during now-former President Trump’s much-ballyhooed summit with Russian leader Vladimir Putin in the Finnish capital. 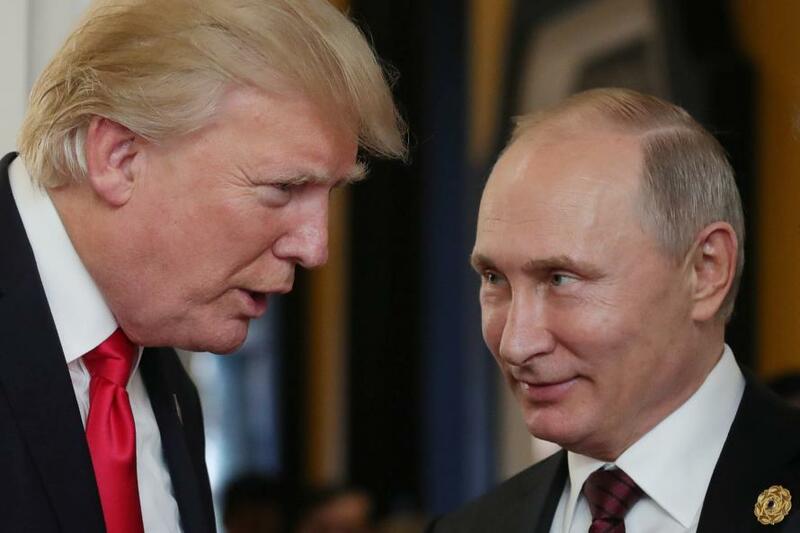 Helsinki was chosen as a neutral venue, much as it had been during Cold War years, as a place where American and Soviet officials could discreetly meet, discuss and, no doubt, eavesdrop on each other. The meeting between Trump and Putin had been keenly anticipated by political foes, supporters and neutrals alike. Donald Trump had tormented his detractors in the weeks before the summit, by tweeting how much he hoped to establish a friendly rapport with his Russian counterpart, who has been something of a bête noire for American liberals and hawks. Political opponents in the US and European allies were on edge in the run-up to the Helsinki rendezvous which was to take place only days after the NATO summit in Brussels. There were widely expressed apprehensions that Trump would rail against European leaders for not pulling their weight over NATO financial commitments. They were also concerned that the American president would storm out of the NATO summit and proceed to a cordial meeting with Putin, leaving the alliance looking in embarrassed disarray. No-one foresaw an even greater calamity. Trump did indeed bawl out the Europeans as “free loaders” on American military power. He repeated his earlier disparagement that the NATO alliance was “obsolete”. Behind closed-doors, it was said by sources, who do not want to be named, that Trump read the riot act to “European bozos” with a stream of expletives. Next stop Helsinki. Trump was warmly greeted by Putin, with smiles and a firm handshake. In a preliminary press conference, the two leaders expressed a mutual interest in dealing with several international security challenges. They mentioned Ukraine, Syria, cybercrime and, worryingly for the Europeans, Trump agreed with Putin that the “provocative buildup of NATO forces on Russia’s borders needed to be tackled”. Was Trump about to make a major concession in de-escalating military forces, as he had done during his historic Singapore summit with North Korea’s Kim Jong-un? The press conference concluded, and the two leaders repaired to private negotiations. Only their translators would attend. That was the private scenario that Trump’s political opponents and critics most feared. Before the summit, they had fretted about what the American president would say or agree with Putin. Much of the commentary had been condescending and demeaning, speculating that Trump would be played like a fiddle by the “devious, ex-KGB” Russian leader. Trump took his earpiece out and leaned into Putin, knowing that the Russian President has fairly good English language skill. Besides, what he had to say was rather straightforward, albeit astounding. Putin’s face at this point had relinquished the initial smile. He knew The Donald was serious. Ever the attentive listener, Putin knew to let the American continue. And that was it. Air Force One was left idling on the Helsinki airport runway while Donald J Trump, formerly US president, was given a spare seat on President Putin’s aircraft on their way back to Moscow. The US government and news media are still trying to formulate a response to the tumultuous recent events. There is a perplexing torpor about what this means. It’s a constitutional crisis like never before in the nation’s 242 years of existence. The sensational scandal can’t be easily spun as “agent Trump going AWOL”. Many of his ordinary American supporters are even holding street parties congratulating the former president for “flipping the system” in the most audacious way imaginable. Perhaps surprisingly, people in the US and around the world are not jumping to the seemingly obvious conclusion of Trump being a Russian renegade. Many are contending a more subversive thought: is this how bad American politics have become that even an American president wants out of it? Not only that, but the place he feels most secure in is Russia – the supposed rogue nation that Western news media never stopped slandering. Latest unconfirmed reports out of Russia say that The Donald has been joined by his wife Melania and son Barron. Their Black Sea condominium has a magnificent view of Crimea. As for the neighbors? Edward Snowden has popped in a few times already.